For a limited time get a life time membership for only $25! For only a onetime fee of $25 we’ll set you up as a Travel Agent and give you travel agent booking engines that you can book your travel on. You’ll get Travel Agency Rates and earn commissions on your reservations too! The price will go back to $75/yr without notice! and at the same time help you Save More Money and Make a Memory that last a lifetime! Here is the easiest way to look at our travel program. The #1 travel booking engine is Expedia. You would be hard pressed to find someone who has not booked a reservation on Expedia. 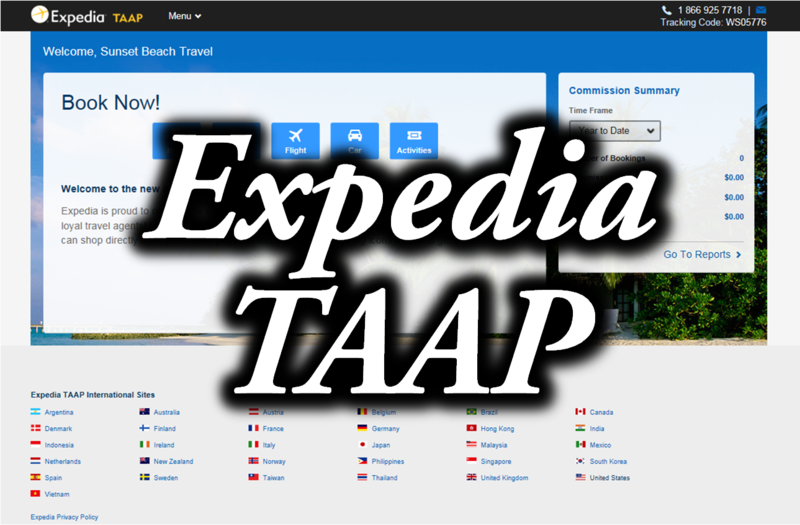 Expedia has a Travel Agent Program called TAAP (Travel Agent Affiliate Program) that pays a 6% commission on rental cars, a 10% commission on hotel stays, a 5% commission on fly and stay packages and a 10% commission on activities to travel agents when they book on that site. The prices are the same, the only difference is the Travel Agent gets a commission when they book on Expedia TAAP and the consumer doesn’t get a commission when they book on Expedia. So here is my question; why would you want to book at retail and not get a commission on your reservation if you could? And it’s not just Expedia TAAP. How can you say no to this? For a onetime fee of $25 you are able to book all of your personal travel at travel agency rates and earn 2/3 of the travel commissions that are paid to the seller of travel. You don’t have to take any classes and there are no other fees to pay. No website fees, No industry fees, No processing fees. THERE ARE NO OTHER FEES! You’ll have access to Travel Agent Booking Engines for Life where you’ll get Travel Agency Rates and earn 2/3 of the commissions on your personal travel. Why buy travel at retail when you can buy it at wholesale? Travel is a fast paced, exciting industry with unlimited income potential and if you have a desire to become a Certified Travel Agent and earn your CLIA or IATA Card, we can help you do that too. If that’s your goal, our hand-picked curriculum will prepare you to hit the ground running when you begin your new travel business. Our Travel Club program for “The Travel Agent” offers both live events and on-demand webinars that will teach you everything that you need to know to become a profitable travel agent and more. Our travel agency (Sunset Beach Travel) is a Registered Seller of Travel (#990) out of the state of Iowa and has been in business since 2010. They know what you need to build a profitable travel business. Sunset Beach Travel belongs to the country’s largest travel consortium and they have designed our Travel Club training program specifically for individuals who are serious about the Travel Industry. 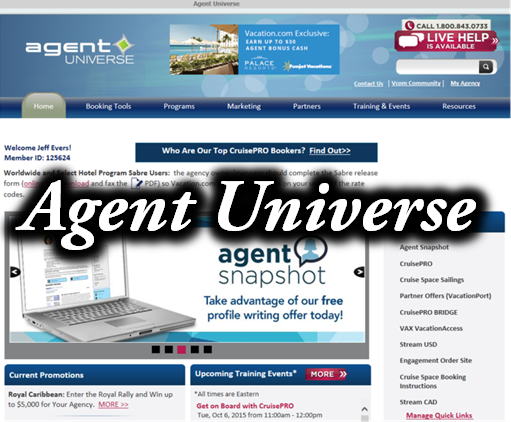 You’ll have access to Agent Snapshot. This service enables you to attract high quality leads on the Internet. You’ll have access to Engagement, our targeted, direct mail and email program that allows you to capitalize on thousands of dollars in Preferred Partner marketing funds to drive more business to you! You’ll also have access to In-Sites. These are destination and/or lifestyle focused multi-partner micro-sites. We’ll provide you with Social Media Tools that include resources for Facebook, Twitter and other social media sites. And you’ll also have access to Vacation Port. This is where you’ll find all of our special offers and promotions. It incorporates a powerful, easy-to-use email marketing tool that allows you to design and send professional HTML emails directly to your clients. You’ll also have access to countless Certification Programs. Plus we do over 10 Live Webinars per month that will teach you everything from getting started as a new travel agent, to booking groups, to learning insider tricks and more. Plus we have dozens of on-demand webinars that will help you stay ahead of the competition. Plus, you’ll have the ability to build a travel business that can make your dreams come true by bringing on other people who’d like to make a living in travel or bringing on people who’d just like to be able to book their own travel as a travel agent! It doesn’t matter if you joined the Extreme Savings Travel Club to book your personal travel on Travel Agent Booking Engines or if you joined the Travel Club to become a Certified Travel Agent, you’ll get access to these benefits for just a one-time price of $25. You’ll probably save more than the $25 with your first reservation. You’ll have access to all of our Travel Agent Booking Engines and receive 2/3 of the commissions that are paid to the seller of travel for this onetime fee of only $25. Plus, if you want to become a Certified Travel Agent, you’ll have access to all of our Travel Agent Training too. All of this for only $25 one-time!!! How can anyone say no to this? 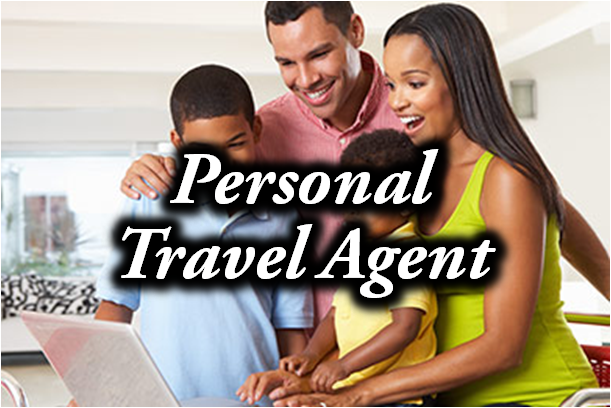 As an Active* Travel Club Member, you can refer others to get setup as a Personal Travel Agent or as a Certified Travel Agent by purchasing the Extreme Savings Travel Club for only a onetime fee of $25. As an Activated** Travel Club Member you can also earn commissions on travel that is booked by travel agents in your team. We take 1/3 of the commissions that are paid to the Seller of Travel on the reservations that are booked by the Agents in your team and pay that out to Qualified*** Travel Club Members through a team building program. As an Activated** Travel Club Member you can also earn Team Building commissions on the $25 Travel Club Memberships that are referred by Travel Club Members in your team too. We take 1/3 of the $25 Travel Club Fee and pay that out to Qualified*** Travel Club Members through a team building program. To get more information on the income potential, check out the Opportunity section of this site. *Active Travel Club Member is someone who has purchased the onetime $25 Travel Club. ~25% commission is only available on TC purchases that are made at time of sign up. TC purchases that are made later only pay 10% commissions. **Activated Travel Club Member is someone who has generated at least $12.50 in volume within a 30 day period. ***Qualified Travel Club Member is an Activated Travel Club Member who has generated at least $25 in personal volume within a 30 day period and personally referred at least 1 Activated Member in each of their binary teams. We are not making any guarantees.